Aerial Work Platform's are compact, easily maneuverable, lightweight equipment for conveniently working at heights both indoors as well as outdoors. The stored dimensions for most models are such that the equpment can easily pass through most standard doorframs as well as can easily be transported to different levels in medium sized lifts/elevators. For efficient usage in Airports, Hotels, Malls, Hospital Amusement Parks and Industries etc. Single Mast Aerial Work Platform's (Personnel Lift) are available up to a platform height of 9 mtrs and working height of 10.7. These are suitable for use by a single person along with tools and have a platform size of 600x550 mm. The outriggers are easy to use. Four outriggers are provided with screw disc type mechanizm to ensure stability and for proper leaveling of the equipment. 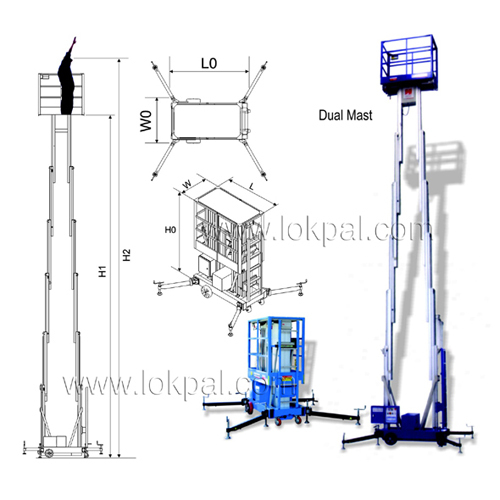 Aerial Platform Multi for higher capacities, greater lifting height and/or where the application requires a larger platform size and load capacity Multi Mast Aerial Work Platform's are available. Dual Mast Platforms are available up to a working height of 13.7 mtrs and maximum platform height of 12 mtrs. Triple mast & four mast platforms are available up to a maximum platform height of 14 mtrs. 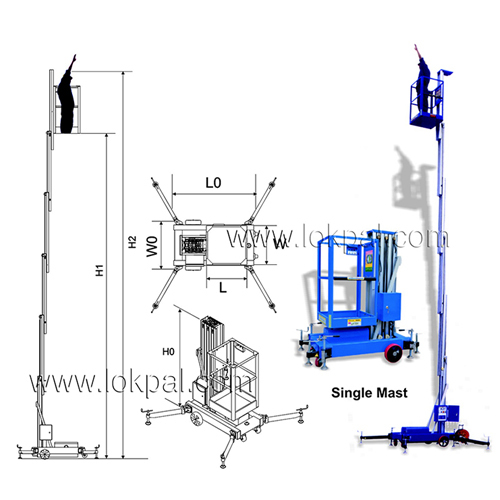 Multi Mast Aerial Work Platforms are available. Dual Mast Platforms are available up to a working height of 13.7 mtrs and maximum platform height of 12 mtrs. 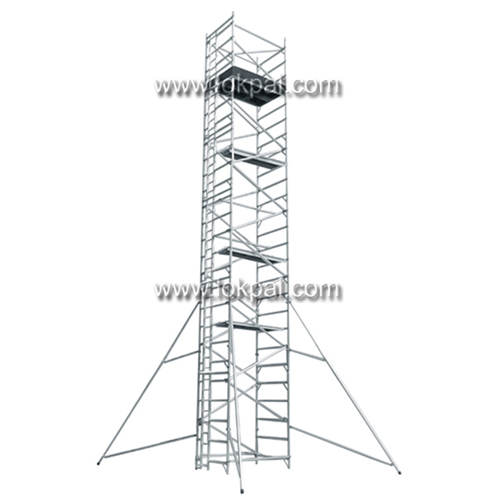 Four mast platforms are available up to a maximum platform height of 14 mtrs. All Multi Mast Work Platforms have foldable railings, which can be folded for compact storage and easy maneuverability through low doorframes. 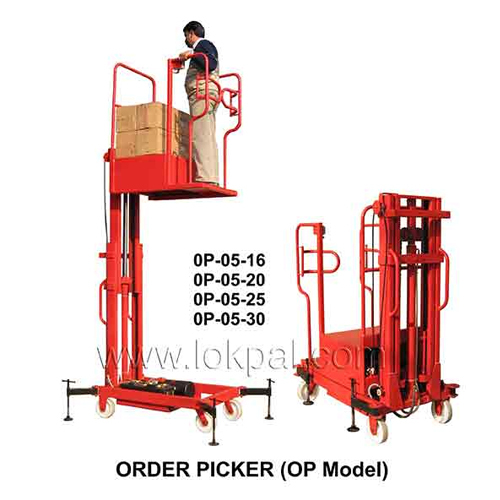 Order Picker OP Model is useful for lifting material from racks. Can pass through narrow asile. 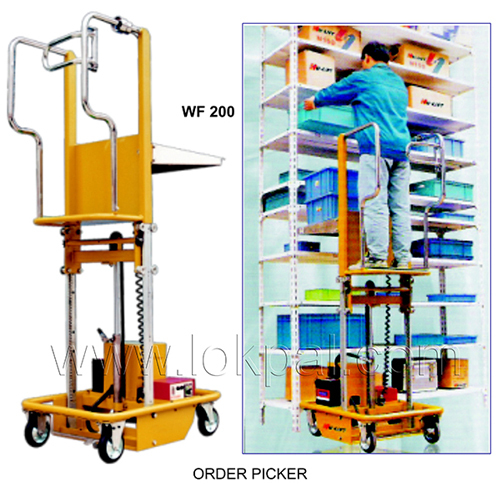 Order Picker Low HT very useful lifting/material from racks at different heights. Compact size, can be easily moved through narrow asiles.